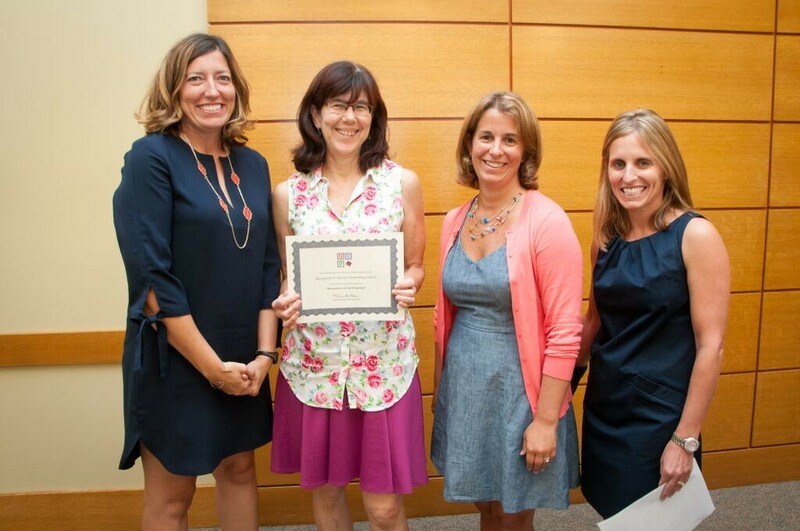 NEF awarded $68,000 in funds to 20 grant recipients during a special ceremony held at the Northborough Free Library on Sept. 18, 2018. NEF Grant Committee Chair, Susan Ogar recognized the significance of the continued support of corporate sponsors, members of the community and schools, and the organization’s many volunteers who help make the fundraising events successful. A special thanks was given Kerri Sullivan-Kreiss of SullivanKreiss Financial, for generously becoming the 2018 NEF Platinum Sponsor. NEF was also proud to present a $1,000 scholarship, generously donated by Main Street Bank, to our first “I love Northborough” Scholarship Contest winner, Megan Harrington. Fundraisers in 2017-18 included the Applefest Gala, Golden Apple Appreciation Gifts, Trivia Night, Gala Jr., and the Mother/Daughter Princess Tea Party. . Proceeds from these events enabled NEF to fully or partially approve funding for the grants funded this year. The Global Read Aloud: One Book to Connect the World (Lincoln Street Elementary School): The Global Read Aloud is an initiative which connects teachers and students with classrooms around the world. Each year, organizers choose books for several different age groups and participants agree to read the books aloud to their students and then find innovative ways—such as Skype—to interact with counterparts at other schools. This year’s chosen books all reflect themes of understanding and empathy, as well as multiculturalism and global connections. This grant will allow for the purchase of the books that are part of the 2018 Global Read Aloud project as well as nonfiction books that will help students expand their understanding of the cultures in which these read-a-louds are set. Growing Global Citizens Using VR Field Trips (Melican Middle School), It’s a Virtual Reality World After All (Zeh & Proctor Elementary Schools), Peaslee School Virtual Reality Field Trips (Peaslee Elementary School): Virtual reality field trips allow teachers to promote curiosity and exploration by providing the opportunity to visit a faraway place without leaving the classroom. The integration of this technology can provide unique learning experiences for students by dropping them in the middle of the Aztec and Mayan Ruins or putting them on the NASA’s Juno Mission to Jupiter. Thanks to these grants, students will be able to view and appreciate the world in which they live like never before, helping them grow as global citizens. While each school has different plans for how to use the technology to work with their curriculum, all students will have a unique experience that will take them far beyond their classrooms. School Membership to iEARN – International Education and Resource Network (Peaslee Elementary School): Peaslee School will receive a membership to iEARN —the International Education & Resource Network—which enables educators and young people to participate in global virtual exchange through collaboration. With unlimited access to the network’s collaboration center, teachers will be able to search by age level, subject area and language to find global, collaborative projects that meet the curriculum needs and interests of their grade or classroom. Once a project has been selected, the class will use an interactive online format to connect and collaborate on a project with peers from other countries. Fostering Civil Discourse in Social Studies Classrooms (Algonquin Regional High School): In light of the pending Massachusetts legislation that will realign the Social Studies curriculum and add a civic engagement graduation requirement, Social Studies teachers are looking for new and innovative ways to encourage civic action and civil discourse in their classrooms. This project sponsors a partnership with Facing History and Ourselves for professional development to train teachers in fostering constructive dialogue around controversial topics and to build the foundations of the soon-to-be mandated civic engagement curriculum. 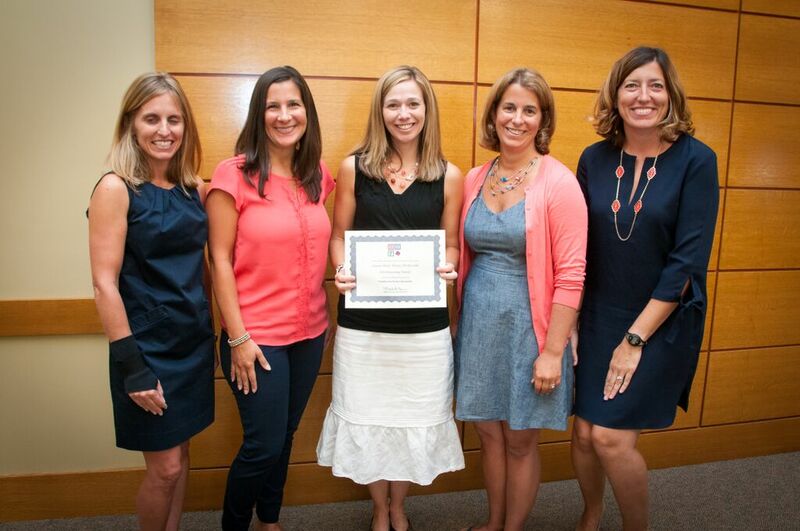 By bringing together Social Studies teachers from the middle schools and high school to train with Facing History, they hope to establish norms and instructional practices around civic engagement and dialogue that will be present throughout the secondary education experiences of Northborough students. Lincoln Street Hands-Free Drama (Lincoln Street Elementary School): Lincoln Street School students will now have access to cutting-edge technology in their dramatic productions. Six new Headset microphone systems will allow students to let go of the microphone, and sing, dance and move about the stage freely. This technology is the type that is used in productions in the community, on Broadway, and on professional stages all over the world. Sharing Books, Talking Science: Exploring Scientific Concepts Through Children’s Literature (Proctor Elementary School): Units of Study based on the Next Generation Science Standards are being implemented in grades K-5 across Northborough. These units encourage scientific habits of mind and reinforce seven crosscutting concepts such as pattern, cause and effect, structure and function, and energy and matter. These concepts are, surprisingly, often addressed in children’s literature. For example, in Charlotte’s Web, E. B. White writes about how a spider can produce several kinds of thread. She uses a dry, tough thread for foundation lines, and she uses a sticky thread for snare lines, the ones that catch and hold insects. Charlotte decided to use her dry thread for writing the new message. “If I write the word ‘Terrific’ with sticky thread,” she thought, “every bug that comes along will get stuck in it and spoil the effect.” This story provides a perfect opportunity for teachers to “think aloud” about how Charlotte understands structure and function. This grant will provide teachers with resources that will allow them to provide high quality read aloud experiences to their students while helping them develop the mindset necessary to think like a scientist. Understanding Student Behavior as Communication (Melican Middle School): This grant will provide the entire Melican staff the opportunity for expanded Professional Development with Jessica Minihan, a licensed and board-certified behavior analyst (BCBA), author, and special educator. The goals of this grant are three-fold. First, all teachers and support staff will come to understand that behavior is a form of communication, and will be able to recognize what a student’s behavior is communicating to them so that they can respond effectively. Second, all teachers and staff will be able to recognize skill deficit areas in students, identify them, and address them in research-based ways, collecting data to assess the effectiveness of the strategies implemented. And finally, all students will be able to recognize skill deficit areas in themselves, identify them, and utilize effective strategies. Proctor Gardens-Nurturing the Seeds of Community (Proctor Elementary School): A Proctor School community garden will help support student inquiry, a connection to the natural world, and engage students with both same age peers and older peer role models. All students will be exposed to healthy foods and moderate exercise through working in the garden, while providing them a safe space to feel calm, safe, and relaxed. Students will have the opportunity to work with others who are different from themselves in order to develop increased self-understanding, as well as interpersonal and cooperative skills. Thermal Camera and STEM (Melican Middle School): Melican Middle School will receive two thermal cameras which will give students an opportunity to learn about heat, temperature and heat transfer in an engaging real life applicable way. In using a thermal camera, students can learn first-hand how insulators and conductors work. Through investigation, they can determine which materials make good thermal insulators and which would make good thermal conductors. The new Massachusetts Science Curriculum Framework places an emphasis on active student engagement in science, and the standards specifically require that students solve problems using scientific thought and design thinking. This compliments well with Science Technology Engineering and Math (STEM) philosophy of engaging students in engineering practices and design. Winds of Change: Renewable Energy Conversion & Meeting New State Standards (Algonquin Regional High School): Students enrolled in Physics learn about electricity, magnetism, and energy needs. The kits purchased with this grant will allow them to design and develop wind turbine blades and test them on a scaled wind turbine in the classroom. The students will be able to analyze results by seeing voltage output, lights lighting up, and sounding buzzers providing tangible, immediate feedback that is similar to real-life applications. They will develop lab reports which will analyze results and develop analysis skills based on the results. Unleveled History Success Kits (Algonquin Regional High School): This grant will provide High School US History 1 students with reusable, laminated timelines that they can refer to during open response writing, class activities, tests, and other assessments. These timelines will give all students a base of people, places, and events to draw from as they build their skills in writing, speaking, arguing, and cooperating. Storybook STEM Across the Grades: Science, Technology, Engineering, and Mathematics for grades 1-2 (Peaslee Elementary School): This grant will fund materials to create STEM Bins that can be utilized for small group as well as large group exploration in Peaslee’s first and second grade classrooms. These kits will help children discover STEM in their favorite fairy tales and naturally inspire them to explore each challenging situation until they find a solution. For example, in Kit 1, kids will engineer happier endings to fairy tales as they design a house that can’t be blown down by the Big Bad Wolf, construct a bridge that keeps three goats safe from the troll and build a chair even Goldilocks can’t break! Think Tank (Algonquin Regional High School): Algonquin Regional High School will be turning one of its standard classrooms into a “Think Tank”. This grant provides the Algonquin Business Department the opportunity to purchase furniture to encourage students to create, innovate and collaborate. The classroom will transform into an active learning space for students with the objective to facilitate social learning by designing spaces where students can easily connect and collaborate. Growing the Center: Writing Center as a Center for Writing (Algonquin Regional High School): Since opening in December 2016, with help from an NEF grant, the Algonquin Writing Center has expanded in staff, services, and scope. In three semesters, they have blossomed from fifteen students meeting after school in the directors’ classrooms to a staff of over forty who have tutored, on average, over three writers per day. They have expanded their reach by including one-on-one sessions during the day. They have created a rent-a-tutor service in which teachers can ‘hire’ a tutor to come into their classes and work with the writers in real time as they endeavor whatever writing project they’re tackling. This grant will fund additional resources needed to continue to expand tutoring opportunities and possibilities for the writing center. A Mighty Girl: Enhancing Classroom Library Collections with Strong Female Characters (Zeh, Peaslee, Proctor, and Lincoln Street Elementary Schools): In her January 2016 Washington Post article, Jennie Yabroff noted that the main characters in children’s books, whether human, animal, snow plow or crayon, are almost always male. A 2011 Florida State University study found that just 7.5% of nearly 6,000 picture books published between 1900 and 2000 depict female animal protagonists. The good news is that many recent books are addressing this gender disparity. Students can now read Mary Had a Little Lab about an enterprising young inventor, Brave Charlotte, the sheep who climbs trees, and Joan Proctor, Dragon Doctor, the woman who became the curator of reptiles at the British Museum in 1917. This grant will provide a selection of these updated titles to the K-3 students in the Northborough Public Schools. Elementary “Straight from the Source” Social Studies Project (Zeh, Peaslee, Proctor, and Lincoln Street Elementary Schools): The “Straight from the Source” Social Studies project will enhance the elementary Social Studies and English Language Arts curricula by providing students and teachers with a variety of texts written from various perspectives. The use of “Straight from the Source” primary sources and learning activities promote students’ skills in understanding and analyzing informational texts, thus contributing to students’ development of close reading skills and critical thinking based on factual knowledge. Greg Tang Jr.-Working with Teachers and Students Across Northborough (Zeh, Peaslee, Proctor, and Lincoln Street Elementary Schools): How many times do we hear, what’s this new math all about? The Tang Team will lead a day of enrichment for students, professional development for teachers, and an evening family math night at each of Northborough’s four elementary schools. Greg Tang Jr. and his team will show students and teachers how to play fun and effective math games which can then be used as part of center activities and used in the larger classroom. The workshops that the Tang Team conducts will target important skills, strategies and standards, and combine Greg’s proven techniques with the best practices from around the world. In their work with parents, the Tang Team helps them make sense of new and unfamiliar teaching methods by focusing on three important aspects of effective math instruction: visualization, reasoning and number sense. Parents come away with a clear understanding of visual models and number bonds, along with other techniques that are being used by our teachers. Students at each grade level will have direct contact with Tang Team and engage in dynamic, hands-on work. Northborough Children’s Book Awards (NCBA) (Northborough Free Library and Northborough Public Elementary School Libraries): The NCBA is a collaboration between teachers and librarians aimed at inspiring all 3rd, 4th and 5th grade students to read great literature that develops their individual literacy skills. In the fall, knowledgeable school and public librarians from Northborough gather together to deliberate and vote for at least 12 recently published book titles that serve as the nominees for the awards. Multiple paperback copies of these titles are purchased and divided between all of the Northborough elementary schools as well as the town’s public library. Beginning in February 2019, students will read at least three of the selected titles and in May, can vote for their favorite at either the public library or during their library classes in school. In June, votes are tallied and the winning author is notified. 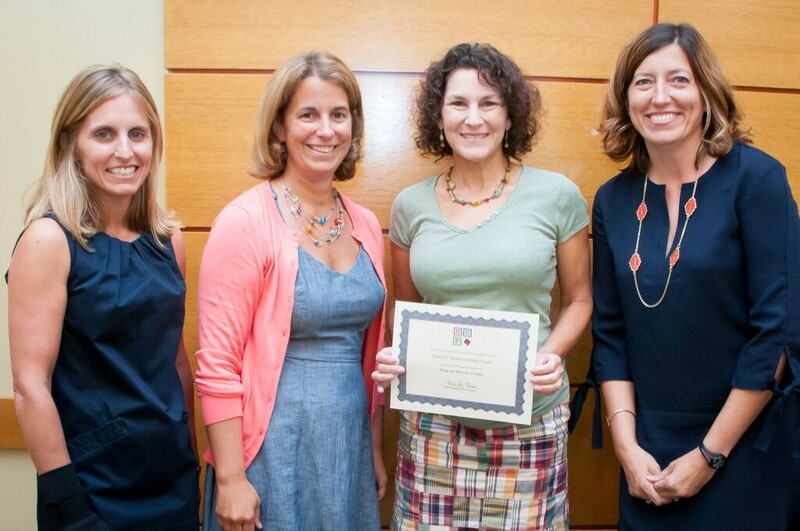 NEF awarded $38,400 in funds to 14 grant recipients during a special ceremony held at the Northborough Free Library on Sept. 13. 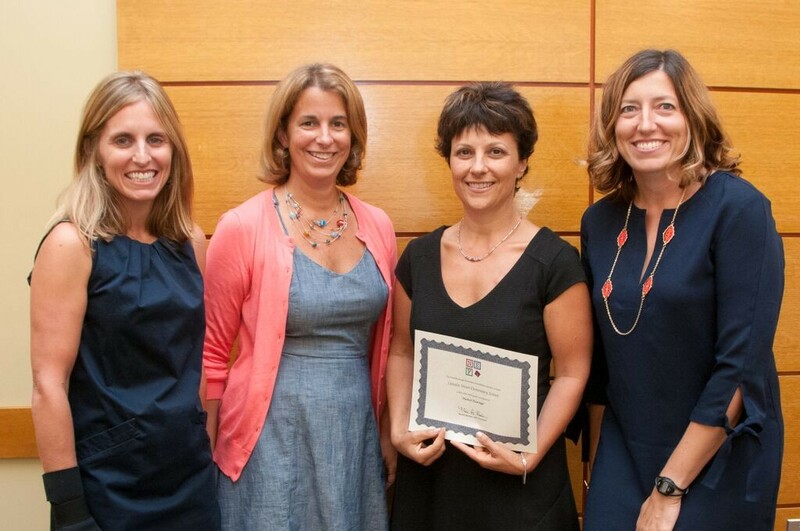 NEF President Marile Borden recognized the significance of the continued support of corporate sponsors, members of the community and schools, and the organization’s many volunteers who all help bring success to the fundraising events. 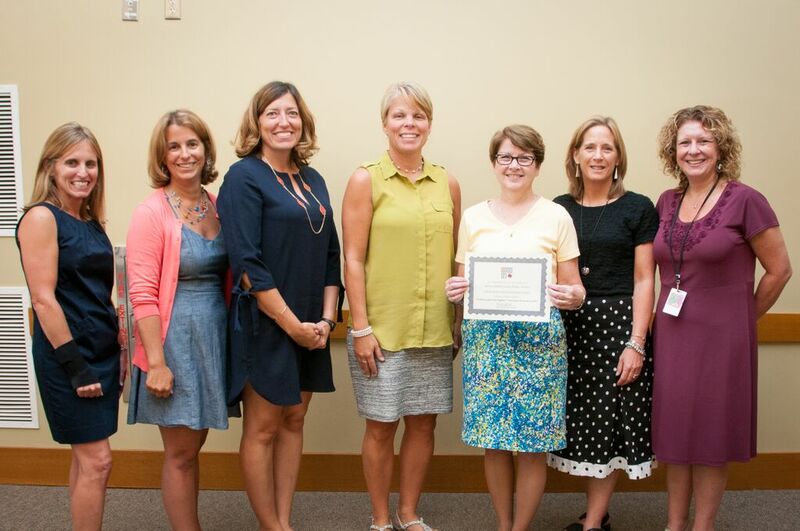 Last year’s fundraisers included the Golden Apple Appreciation Awards, Trivia Night, Mother/Daughter Princess Tea, Northborough Local First Ladies Night Out, and the Applefest Gala. Modeling the Imagination (Robert E. Melican Middle School): Students will be introduced to 3D printing. Funds will purchase twelve 3Doodlers printing pens, plastic strands necessary to build objects and various start up tools such as stands and nozzles. The 3Doodler is safe for classroom use, the eco-plastic is made from food-safe materials that are non-toxic, and the plastic is biodegradable. Students will gain a greater understanding of difficult, abstract ideas by creating a three-dimensional object. Breakout Boxes (Robert E. Melican Middle School): Students need to complete a series of puzzles to see what’s inside the box to earn their prize as they practice Spanish vocabulary and grammar, and they will have the opportunity to use their knowledge in hands-on, challenging situations in other classes. Stand Up Desks (Fannie E. Proctor School): Stand-up desks provide an alternative work space for students who learn better when they are allowed to stand and move while continuing to engage in the learning process and work with others, resulting in reduced distractions within the classroom. Diverse Needs-Sensory Supports (Fannie E. Proctor School): The use of sensory tools will provide an innovative approach to learning to meet the needs of the school’s diverse learners. Alternative Seating (Marguerite E. Peaslee School): By providing alternative seating options beyond the typical desk and chair, students have the opportunity to learn in an environment that works best for them and allows them to feel successful, happy and self-confident. Improving student engagement, developing self-regulation skills and enhancing learning are at the core of our educational system. Community Reading Day (K-5, Robert E. Melican School): “Northborough Reads Together – Community Reading Day 2017” is a community-wide celebration of literacy. Students in preschool through Grade 8 will have the opportunity to hear high-quality children’s literature read by school, business, and community leaders. This inter-generational activity and the books selected will enhance the school curriculum and inspire students. Northborough/Southborough Children’s Book Award (NSCBA) (Northborough Free Library, K-5 schools): The NSCBA is a collaboration between teachers and librarians aimed at inspiring all third, fourth and fifth grade students to read great literature that supports and develops their individual literacy skills. Students read, discuss and enjoy at least three of twelve, librarian-approved titles and vote for their favorite. Second Step (Fannie E. Proctor School): In a continued effort to support students in the area of social/emotional development, teachers of students in grades K-2, will have ready access to Second Step kits to allow for structured weekly lessons in the areas of perspective taking, empathy, conflict resolution, managing emotions, and problem solving. Competence in these skills can improve students’ readiness to learn, classroom behavior and academic performance. The program will also expand to third grade. Imagination Playground (Marguerite E. Peaslee School): Oversized, blue foam blocks will be used as building blocks in the new Massachusetts Science, Technology, and Engineering Frameworks. Students will use these blocks as they develop 21st Century Skills both in the classroom during lessons as well as outside when engaging in creative play. Piano Lab (Algonquin Regional High School): Funds will purchase five electric pianos with stands and headphones, as well as five additional sets of headphones for existing electric pianos, to be used to start a Beginning Piano course. The course will be a great way for beginners to discover the joy of making music. Digital Art Display (Algonquin Regional High School): Student work created in Visual Art courses will have expanded opportunities to be exhibited in the school community. While not intended to replace physical, face-to-face exhibits of student work, Digital Art Displays will create a sustainable workflow for students and teachers to collaborate in sharing students’ creativity beyond the walls of the art classrooms, while reducing the time, cost, and environmental impact of physically printing digitally-native art. Mobile Maker Spaces (Lincoln Street School, Marion E. Zeh School and Fannie E. Proctor School): STEAM learning will offer students the opportunity to tinker, build, create, design, invent, solve problems and learn in a self-guided environment using both high-tech (robotics, electronics, and green screen) and low-tech (duct tape, corrugated cardboard, etc.) technology. Winds of Change (Robert E. Melican Middle School): Eighth grade students will be completing a cross-curricular project with the challenge “Design a wind turbine blade that generates the greatest amount of electricity at the lowest cost”. Students will explore and research the science, engineering, and mathematics behind wind turbines; use their research to design, test, and optimize their designs in a wind tunnel and analyze data; and focus on specific industry roles such as “design engineer”, “meteorologist”, “electrical engineer”, and “ecologist” to simulate what real world professionals would do to ready their design solution for the marketplace. Writing Center (Algonquin Regional High School): The school’s first student-run writing center will be a dedicated space for students to work one-on-one with knowledgeable peers on any piece of writing from across the curriculum at any stage of the writing process. Writing tutors will be able to accommodate the needs of all students. Ultimately, the writing center will centralize writing resources for the entire school and will promote cross-curricular conversation about writing, and further encourage collaboration as the chief method to promote individual growth and academic achievement. OSMO is an exciting new device for iPads that allow students to compete, create, and experiment with physics. Students can compete in teams with the WORDS app to creatively review physics concepts in words and pictures. Using MASTERPIECE any student can become an artist and create their own original artwork for use in class projects. The adventurous NEWTON app challenges students to apply their knowledge of Newton’s Laws and freefall in a fun and engaging way. NEF will fund the purchase of six Osmos. This grant provides three iPads and one charging station for Proctor’s pilot program of small group iPad work stations. These work stations will be used across the curriculum and throughout the day in classrooms. “Northborough Reads Together – Community Reading Day 2016” is a community-wide celebration of literacy. Students in Preschool through Grade 8 will have the opportunity to hear high-quality children’s literature read by school, business, and community leaders. This intergenerational activity and the books selected will enhance the school curriculum and inspire students for years to come. NEF funds will be used toward the purchase of books. “A Toolbox for Every Classroom” is a program that will give teachers updated physical tools and strategies to teach their students how to regulate their bodies to remain available for learning throughout the course of their school day. This project enhances every student’s ability to access the curriculum, by helping them maintain an optimal level of learning. The goal of the program is to teach students the importance of self regulation and taking breaks to maintain a healthy balance of wellness. Classroom teachers, instructional aides, occupational therapists, behavior specialists, and school psychologists will work together to instruct, model, and incorporate tools and strategies within whole group learning and individual times for needed breaks. NEF is funding comprehensive kits for each classroom. Read and Write for Google allows struggling students to access any curriculum and complete reading, writing, and research assignments as well as take tests independently. This extension appears as a toolbar on any Google document and allows students to have text read aloud. It also includes a comprehensive set of support tools for reading, writing, studying, research, and test-taking. Examples of the support tools include word prediction, speech to text, text to speech, picture dictionary, vocabulary list creator, and highlight collector. NEF’s investment will increase the reach of the District’s current investment from 10 to 150 students for the Pilot program. This project focuses on one of the most critical reading skills presented in the Common Core State Standards—reading across multiple texts and media. As we prepare students for the demands of college and career they need to become adept at reading/viewing multiple sources while actively comparing, contrasting, and integrating these sources in meaningful ways. NEF will fund multiple copies of paired texts (fiction/fiction, fiction/non-fiction, non-fiction/nonfiction) along with DVDs that align with the topics or themes presented in the texts.